Since announcing the club website offer yesterday, I’ve had 2 enquiries related to advertising on your new club website. Q1. Will our website be covered with adverts for bowls-central? Q2. Can we have sponsors ads on our website? A2. Of course, you can display any amount of sponsor ads on your site to raise money for your club funds. We are happy to help with adding these and of course there are many other ways that you can raise money through your site such as Google ads, and an increasing number of programs you can join and promote on your site to raise money for the club. So not only do you get a professionally designed, built and hosted site, you also potentially get a new revenue stream or multiple revenue streams for your club into the bargain! You can see the club website offer here. Start the new season with a new Club Website! 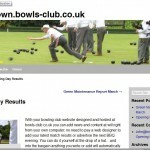 Now your bowls club can have a professionally designed website hosted on the bowls-club.co.uk domain. 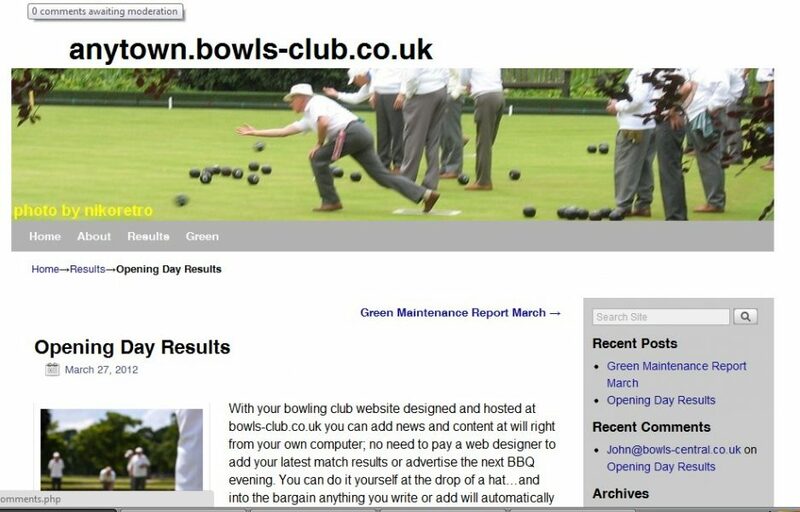 For just £69 per year plus a one off £39 set up fee, your club can enjoy the benefits of a full CMS (content management system) website with a fantastic club specific web address like this one (yourclubname.bowls-club.co.uk). Alternatively, if you’ve already bought a domain name for your club we can use that. There really has never been a better time to finally get that professional web presence your club deserves. 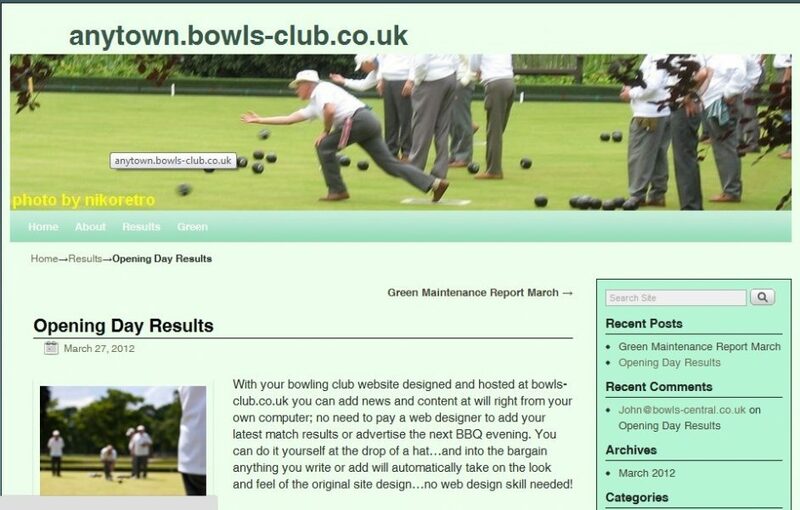 A great web address like “anytown.bowls-club.co.uk” built on the bullet proof WordPress platform. Your site fully designed and set up with home page, about page, contact page with Google map and a blog (optional) where you can publish your club news and results anytime you want. Up to 3 email accounts set up and configured for you such as president@yourclub, secretary@yourclub etc, so you can project a really professional image to the outside world; no more hotmail! Your site designed, built and professionally hosted by the web designers at bowls-central.co.uk (we work with and understand bowling clubs). Easy Content Management System so you can add news and updates at will. Free 100mb web space so you can expand your site with more pages and content as you see fit. Infinite expandability in the future; most other offers leave you stranded with a static 4 page website; our sites are dynamic, up to date and fully expandable to any level of functionality you decide on in the future including ecommerce, members only areas etc. Forever low price of £69 per year for this package. The offer doesn’t officially go live until next Monday, but we are taking pre orders from today. Just drop us a line here to get at the front of the queue!